Can’t We All Just Get Along? Why are we working more and more? Let’s face it: the hiring process can be scary for everyone involved. The whole thing is a bubbling cauldron of terror. Job seekers have a lot to fear, from ghosting employers to a lifetime of filling out online application forms. But employers have terrors of their own to confront, and I thought now would be a good time to share a few real-life horror stories of job interviews gone wrong. Some of these stories have happened to me personally, while others are legends told by my colleagues who have hired. While they may be slightly dramatized for spooky effect, these are all real situations! If you’re on the job hunt, I hope these tales will help you learn a bit about what employers expect from candidates in an interview. Get a new perspective so that you don’t suffer the same horrible fate as these poor job seekers. Let’s start with one of my own tales. This happened a few years ago but it haunts me to this very day. As you may know, I’m a huge fan of informational interviews. These are casual one-on-one networking meetings, usually held over lunch or coffee. I tend to get busy during the week, but I still make time to meet with people who are referred through friends and who invite me out to coffee to talk careers. Usually I love informational interviews. This time, however, was different. I went to a local coffee shop to meet a new contact who had invited me out for an informational interview. After a few minutes, I noticed a man walk in wearing full bicycling gear. I’m talking head-to-toe skin-tight racing outfit, those clip-in shoes that clatter as you walk, even still wearing his helmet! This professional cyclist must really need a quick espresso, I thought. So you can imagine my surprise when he looked right at me and came clattering over to my table! It dawned on me: this is the person I’m supposed to meet! For the next 30 minutes, I sat there, aghast, as he told stories about cycling and dripped sweat. Finally I told him I had another meeting and had to go. I left the coffee shop, narrowly avoiding a fist bump. Lack of preparation: The person who invited me to this informational interview was responsible for running the meeting. He didn’t ask questions about my career, and he didn’t ask for my advice. What was his purpose in meeting with me? His lack of preparedness for this interview was spooky. Non-professional dress: I support personal expression in your professional wardrobe. But showing up to a business meeting with a stranger, wearing cycling gear?! That crossed a lot of lines for me. Dress the part for a professional, mid-week meeting. Needless to say, I did not develop a strong professional relationship with the unprepared bicyclist. Don’t suffer the same fate; read my tips for how to master the informational interview as a tool to land a great job. You may have heard the saying, “If you’re early, you’re on time. If you’re on time, you’re late.” This old adage doesn’t really apply when you’re a busy hiring manager. In fact, a friend of mine relayed a chilling tale of an unimaginably early arriver for a job interview who nearly caused a heart attack, let alone an inconvenience. It was a period of growth at my friend’s company. My friend (I’ll call her Janice) was tasked with hiring 6 new employees in two weeks, all by herself. Since it was such a busy time, Janice went to the office early one day to get some paperwork done before the first of three interviews with candidates. She settled in at her office, which was down a long hallway in a quiet part of the building. She dove into work since her first interview didn’t start for an hour. Janice looked with horror from her half-finished project to the expectant applicant standing in the doorway. How could this be possible?! But it was. The early bird candidate had arrived. Interrupted = annoyed. Not only was Janice startled by the early arriver, but she also got interrupted in the middle of her project. This sets the interview off on the wrong foot. No matter how well the candidate did in the interview, Janice will remember the interruption. Disregard for interviewer’s time. When it comes to job interviews, early is not on-time. Arriving more than 10 minutes early for an interview shows a lack of tact on the candidate’s part. Earlier is not better when it comes to job interviews. My advice: show up early so you have time to navigate to the correct office, but don’t walk in the door until it’s a few minutes before the scheduled time. If you’ve got time to spare, walk around the block or stand outside for a few minutes. Just don’t walk in on an unsuspecting hiring manager 40 minutes early! 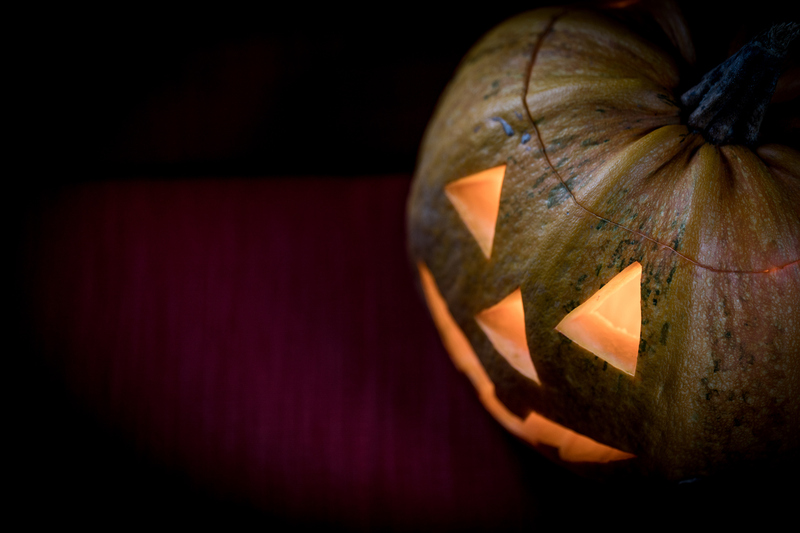 One more quick tale from the crypt of hiring horror stories. The first comes from a colleague’s most recent experience hiring for a support role. After narrowing down finalists for the role, my colleague (I’ll call him Dan) emailed several folks to let them know they were out of the running. Most responded with respectful acknowledgement and a few asked for feedback, which Dan provided within a day or two. But one of the applicants replied to Dan with a long screed of complaints, explaining how he was the most qualified applicant for the role and how Dan had clearly overlooked his capabilities. Dan was shocked at the unprofessional tone of this email and noted that while this applicant had many complaints, he made no requests for feedback of any sort, so Dan archived the email and moved on. Until… a few days later, he returned! This same applicant called Dan’s office and demanded to know why Dan hadn’t replied to his email. Dan explained that he hadn’t seen a question in the email, but he offered a few pieces of feedback on the applicant’s resume, cover letter, and communication tactics. Instead of accepting the feedback professionally, the applicant rebutted each of Dan’s comments, and continued complaining until Dan was able to get off the phone. The inappropriate airing of grievances. We all know that job searching and interviewing are two of the toughest things in professional life. But don’t let past bad experiences cloud the way you interact with employers now. By humble, act in good faith, and leave your grudges at the door. The non-ask for feedback. It’s true, many employers don’t respond to candidate requests for feedback after the interview. But if you’re not asking, you’re guaranteed not to get it. As a candidate, when you get a respectful “no, thanks” from an employer, it’s best to make a quick and clear ask for feedback. Get the feedback you want after an unsuccessful application. Beyond the “don’t be rude” lesson above, try to ask for specific feedback after a “no” from an employer. Ask what they thought of one or two important pieces of your presentation, like your resume format or the way you came off in the phone interview. You’re more likely to get a response when you’re specific! Get more tips to get useful feedback and build bridges after an interview. 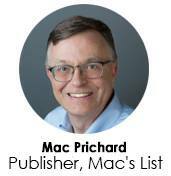 Mac is the founder and publisher of Mac’s List, where he writes regularly about job hunting, leads classes on job search skills, and hosts the Find Your Dream Job podcast.